So, there is a kernel panic because the kernel can't seem to find a file system to mount. How did you install GNOME? Did you use a USB stick or an ISO or similar? Or are you using apt-get or some other means? Martial -- do you have more feedback? 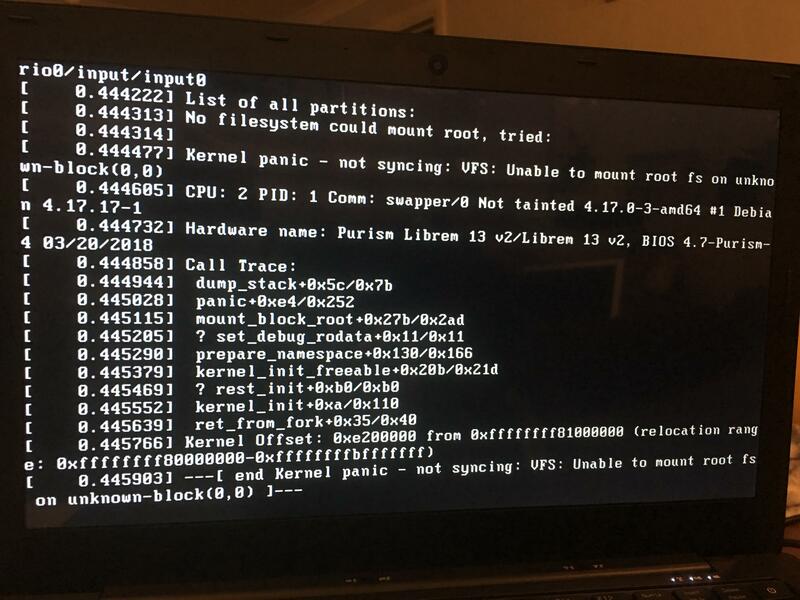 Have you been able to boot? 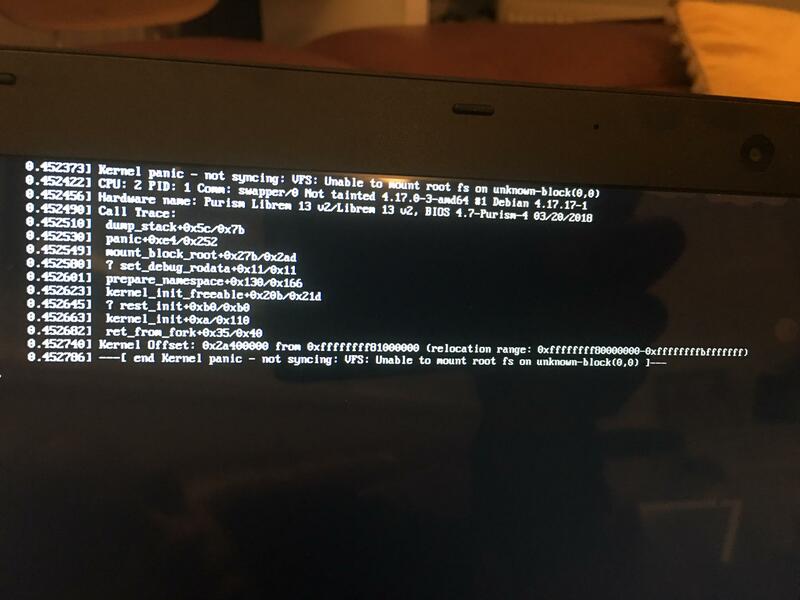 So you get this message when you boot from your laptop? (I just want to make sure you're not booting from the USB stick.) Do you have the USB stick plugged in when you boot? If so, if you could remove it and then reboot and see what it says. But if you install the live system you'll overwrite your disk which will remove data, you may not want to do that. jeremiah.foster added a subscriber: MrChromebox.